Michigan’s next governor starts making plans for taking office in January. Kalamazoo County’s decision to join a lawsuit against opioid makers is on hold. 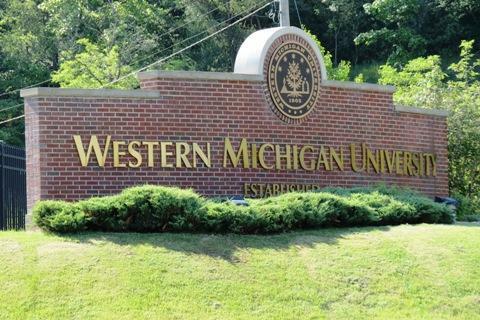 Marijuana will be legal soon in Michigan, but still banned from the WMU campus. (MPRN) Starting in January, Michigan will have a Democrat in the governor’s seat. Gretchen Whitmer won the office in Tuesday’s midterm election. Whitmer faces an adversarial state Legislature. Republicans kept the majority in both the House and Senate. But Whitmer’s said throughout her campaign that she’ll work with anyone to fix things in Michigan like the roads and education. That bipartisan promise could extend to her administration. On Wednesday, Whitmer says she’s open to appointing Republicans. Whitmer has already met with Governor Rick Snyder to work on transition plans. A lawsuit against opioid makers is on hold in Kalamazoo County, but that doesn’t mean it’s over. Wednesday commissioners postponed a decision on declaring a local public health crisis from opioid addiction. That’s a necessary step for proceeding with the case, which alleges that certain drug companies played a role in creating the epidemic. Democrats on the board have supported the lawsuit. Republicans have opposed it, and with one seat vacant the motion might have failed if it had come to a vote last night. It’s likely to meet with more success in the New Year, when Democrats will have an eight-to-three majority on the board. Kalamazoo County officials say their plan to improve indigent defense services in county courts will set an example statewide. The county is moving forward with a plan for an independent, nonprofit office, which will handle defense for people who are accused of a crime but cannot afford a lawyer. The push to change indigent defense started with the state, which ordered all of the counties to review their services and make certain changes. Kalamazoo is still finalizing its plan, but administrators say they hope to launch the new office in May of next year. (WKAR) Some new evidence will be allowed against William Strampel, the former Dean of the Michigan State University College of Osteopathic Medicine. Strampel faces a felony misconduct charge and misdemeanor sexual assault charges. While allowing the new testimony to proceed, Ingham County Circuit Judge Joyce Draganchuk has quashed other potential witnesses. The next step in strategizing Strampel’s prosecution may be up to incoming Attorney General Dana Nessel. There’s no court date set for Strampel’s next appearance. Michigan voters may have legalized recreational use of marijuana Tuesday. But that doesn't mean you can light up a joint on the campus of Western Michigan University. Western officials say pot in any form is still banned on university property. They say - in their words - that marijuana "is not conducive to a productive learning or work environment. The university also says marijuana remains an illegal drug under federal law.